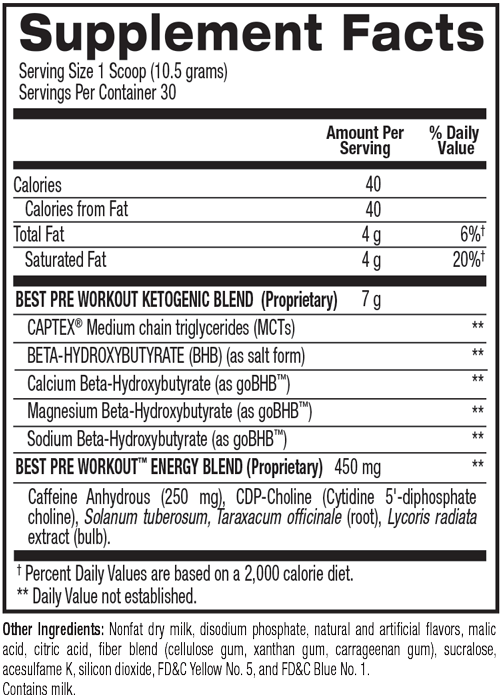 WHAT IS BEST PRE WORKOUT™? CAN I TAKE TWO SCOOPS? No, it’s not recommended that you exceed the recommended dosage. HOW MUCH CAFFEINE IS IN BEST PRE WORKOUT™? There’s 250 mg of Caffeine Anhydrous which is a purer form of caffeine and more effective.